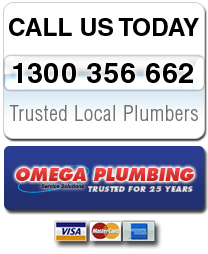 For a fast, on-time response to the plumbing needs in your Kellyville home or business, rely on the team at Omega Plumbing. 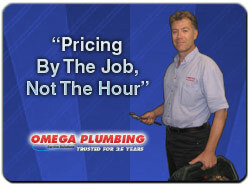 We offer plumbing that suits your schedule by arriving at a time that suits you and even offer a satisfaction guarantee on the level of our service. 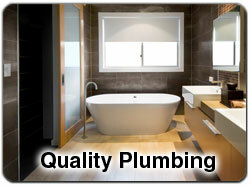 We're already the trusted choice in Kellyville homes and businesses for their plumbing needs for 25 years. We provide complete transparency in pricing for our customers by charging per job and not per hour, so you know how much it will be before we start the repair or installation. We are so sure of always providing the best in customer service to our Kellyville clients, that we guarantee you'll be satisfied with the way you're treated, every time you choose Omega Plumbing for your Kellyville plumbing needs. 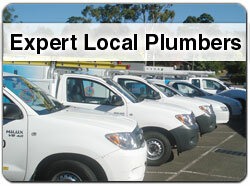 Our team of highly skilled and experienced plumbers have the knowledge to handle all your Kellyville plumbing needs. From new hot water heater installations or repairs, to blocked drains and trenchless relining, we have the expertise and state of the art equipment to ensure all your plumbing is of the highest standard so you can enjoy reliable plumbing in your Kellyville home or business. We won't keep our Kellyville customers waiting with our fast, on-time response to your plumbing needs. You choose the time that is convenient for you, and we'll be at your Kellyville home, on-time, today. 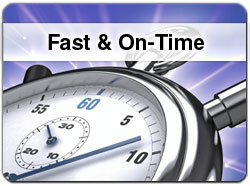 We know that plumbing emergencies can happen at all hours of the day or night. That's why we're available around the clock, 24/7 for our Kellyville clients for a fast response to your plumbing emergencies. Our licensed plumbers are highly skilled and experienced professionals, so you can be sure of quality plumbing installations, repairs and maintenance for your Kellyville home or business. We believe we provide the best in quality plumbing in Kellyville, so all our workmanship comes with a signed written warranty. 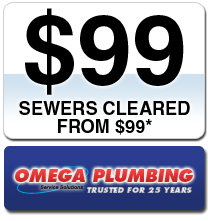 Omega Plumbers are well presented, uniformed professionals who wear shoe covers so no mess is walked through your Kellyville home and lay work area mats down to keep their work area clean. You can be sure they will clean up before they leave, so your Kellyville home is as tidy as when they arrived. 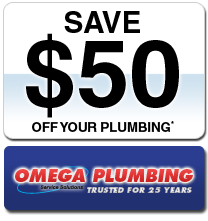 For reliable, on-time service for all your Kellyville residential and commercial plumbing needs, call the team at Omega Plumbing and book a service today.